We continue the series of articles on TOP-5 IT outsourcing destinations of Ukraine. 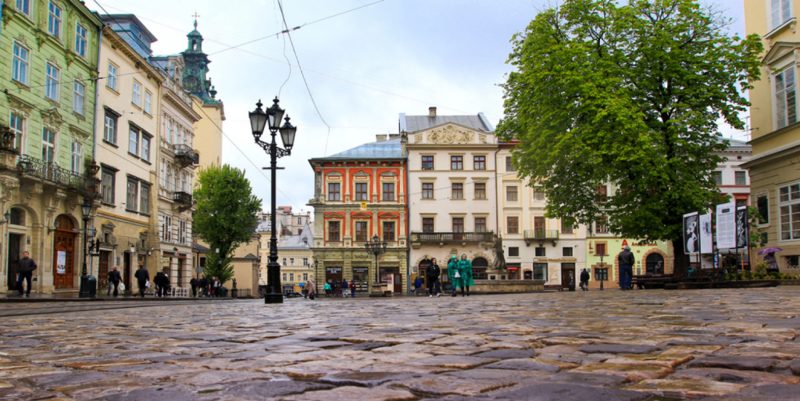 Meet the next article about third IT outsourcing destination - Lviv. Lviv is considered the cultural capital of Ukraine. It is one of the most popular destinations for tourists from all over the world. It is called Ukraine’s “small Paris” due to its romantic atmosphere narrow streets with old buildings and cozy cafes. However, what can the city offer to IT industry in general and its potential clients in particular. Except having a great number of different IT companies working in both directions outsourcing and software development, Lviv is a cradle for several of the world’s most biggest companies of the kind, SoftServe, EPAM, Linux, etc. What makes the city so attractive to the clients and specialists? Firstly, its location – Lviv borders Poland in the west of Ukraine, hence, some few hours and you cross EU border. Secondly, it is not so bustling and overcrowded, unlike Kyiv or Kharkiv, and everything here is within easy-to-get distance. Today, Lviv offers almost 15000 of IT specialists involved into all possible directions: from support staff to software developers, QAs, PMs, etc. This amount comprises 15% of the overall number of Ukraine’s industry. According to the recent data, there are 60 IT specialists for each 1000 residents of the city. The sphere is divided into 77% of male workers and 23% female (if compared to the previous years the number of women in IT was three times lower than it is today). Average Lviv IT specialist’s age is 26. All in all, there over 190 IT companies registered in the city and this number is constantly growing due to the occurrence of start-ups mainly by those, who has been working in the industry for over 10 years and decide on quitting and building up their own business. Almost 20% of IT specialists work on the establishment of their own start-ups. The success of these companies is rather promising as Lviv universities and schools prepare over 4000 graduates annually. Young people prefer joining IT industry because of high salaries, appropriate working conditions and great perspective. Another reason for this is that age span of IT involved specialists varies from 18 to 30 years, hence, being part of young and prosperous team promotes the preferences in favor of IT. The prevailing business model for Lviv IT hub is outsourcing, hence, the main clients are from Europe, USA and Canada. Of course, one of the destinations to be yet developed includes the cooperation with the national market and arranging possibilities for local governments to use the benefits industry offers. The main obstacle occurs in terms of costs. Many companies today try to meet the offers from the internal sources and have to somehow become adjacent to paying capacities of internal business, which also need to be developed along with the IT industry. As to the education, Lviv has a vast number of educational institutions. Among these are universities, academies, and schools of both private and national ownership. The most popular are National University Lviv Polytechnic which is ranked 4th in the national list of universities in Ukraine that prepare a wide range of specialists for IT industry as well. Ivan Franko Lviv National University is also enlisted as such providing corresponding education, however, many graduates claim that university provides mainly basic knowledge and practice is what will help to become highly-skilled and successful professional. Lviv city IT cluster has remained among the top destinations also owing to its geography, since, military conflict in the east and annexation of Crime made many good specialists leave their homes and look for a job somewhere else. Lviv is one of the cities that agreed to host forced migrants from the aforementioned regions. The main goal was not only to invite them but also provide with suitable living conditions and workplaces. From this perspective Lviv is seemingly coping well. As for the clients, both existing and potential ones, Lviv is one of the best variants to cooperate with as it is the safe distance from the conflict zone and the risks are smaller than, say, in Kharkiv or Dnipro, however, these cities do not lose their positions and continue to establish both local companies and offshore offices with headquarters in Europe or the USA. As for the clients, both existing and potential ones, Lviv is one of the best variants to cooperate with as it is on the safe distance from the conflict zone and the risks are smaller than, say, in Kharkiv or Dnipro, however, these cities do not lose their positions and continue to establish both local companies and offshore offices with headquarters in Europe or USA. Substantial scope of researches today supports Ukraine in its IT direction growth by giving their preferences in partnering its companies.